…..the one that got away! Last weekend we went to the caravan and we went fishing. On the first day we went fishing on the rocks and no one caught anything. Then on the same day we went fishing at night on the wharf and I caught two little fish but no one else caught anything. The fish were too small so we threw them back in the sea. The next morning very early we went fishing in the boat and I caught two Snappers and Ernie caught a Snapper and a Gurnard but only one of my Snapper and Ernie’s Gurnard were big enough to keep. We ate them for tea and they were scrummy. 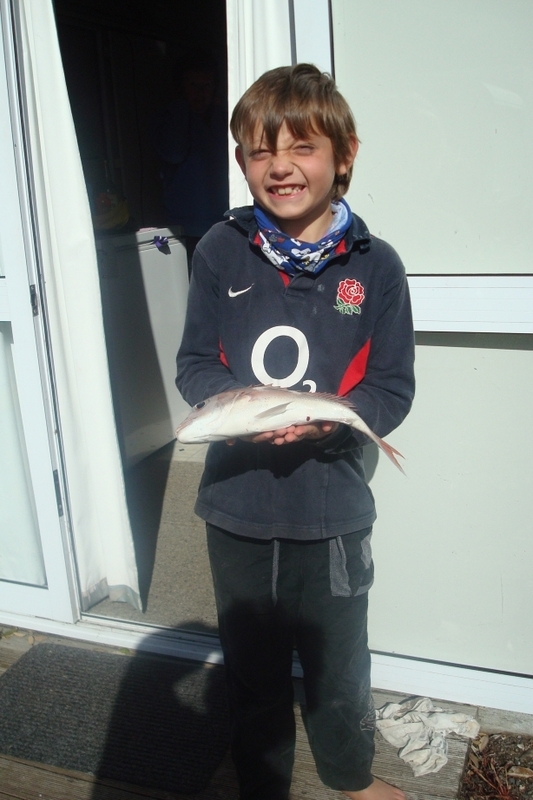 When we came back on the boat Mum took a picture of me with my fish and I had to hold it – it felt disgusting – all slimy!